Fiat Chrysler Automobiles is recalling about 1.4 million vehicles in the U.S. as part of its final phase to replace Takata passenger-side airbag inflators. The callback announced Thursday also involves about 88,830 vehicles in Canada and 12,821 units in Mexico. Affected vehicles are the 2010 Ram 3500 pickup and Ram 4500/5500 chassis cab; 2010-2011 Dodge Dakota pickup; 2010-2014 Dodge Challenger sport coupe; 2011-2015 Dodge Charger sedan; 2010-2015 Chrysler 300 sedan; and 2010-2016 Jeep Wrangler SUV. This is the automaker’s fourth and final phase of the Takata airbag recall, managed by the National Highway Traffic Safety Administration. So far, FCA said, it has replaced more than 4 million Takata airbags. Faulty Takata airbag inflators may explode and shoot shrapnel toward vehicle occupants, potentially resulting in injury or death. FCA said it is unaware of any injuries associated with the passenger-side frontal inflators covered in the latest expanded safety recall. 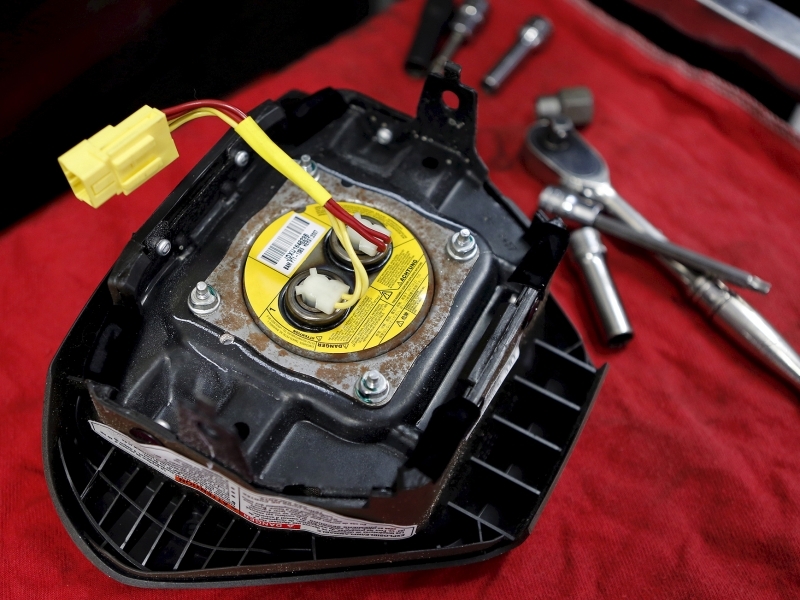 Mark Chernoby, FCA’s head of North American safety and regulatory compliance, said owners of affected vehicles should contact their dealers for a free replacement. The automaker will notify owners of the affected vehicles by mail when the latest recall is effective. The 10-year-old Takata crisis sparked the largest safety recall in auto industry history, involving about 100 million inflators among 19 major automakers. An estimated 23 deaths — including 21 in Honda Motor Co. and two in Ford vehicles –and more than 290 injuries worldwide have been linked to the defective inflators. Heidi King, deputy chief of NHTSA, told Reuters in December that out of 37 million vehicles with 50 million inflators under recall, 16.7 million airbag inflators have not been replaced. She also said average repair rates rose by 30 percent last year.